Happy Humpday pretties! I don't know about where you are but it is officially summer here. Yesterday's high was 97 with a heat index of 101 with 77% humidity and looking at our forecast it doesn't look like it's going to get any cooler any time soon. You know when you head out the door at 6:30 am and it's already 80 degrees out that it's going to be a hot one. It's getting to the point where I'll be pretty much living at the pool on the weekends just to get to enjoy time in the sun but not melt. Here are a few things I'm lusting after this summer to have some fun in the sun! YES, YES, YES! Beach, beach, beach! Love your picks, lady!!! That white swim suit is amazing! The donut is so cute and I love the white suit!! So hot. Like I swear my car never cooled off yesterday! We just those Swell bottles in at our studio I am very intrigued by them! I need that towel and that suit! Great beach essentials! I can't wait until our beach trip in July. Oh that is hot, I don't mind the heat so much but I hate the humidity. It makes it unbearable. That donut float is so fab. Love those fresh lip blams, I just hate how they melt at the beach or at the pool. Now, I keep in my cooler. I don't know how your Florida gals do it. Starting the day at 80 degrees sounds like hell to me, I'm having a rough time adjusting up here. But my goodness, if all of this could magically appear at my door when I'm get home later that would be amazing. I love that swimsuit and beach towel. I'm so jealous! I'm lucky if it hits 65 here. Boo England. I really like the look of that water bottle though, and the sunscreen. Does it feel sticky? I'm always on the lookout for a decent sunscreen that doesn't make me feel clammy! I'm envious of your weather! It won't stop raining here, or its only a high of 70. Annoying! Loving all your picks here, especially that towel! That towel is so cute and the sandals are such a necessity!! Loving that swimsuit and the donut float! Oh yuck, girl!! Our high today is 115 BUT we don't have the humidity you have... I'll be praying for your survival this summer ;) ha ha! Aside from being out at the pool, like you said, we will be hiding inside and soaking up the air conditioning! Ooh I'm in LOVE with those Jack Rogers sandals! I like that they're a little different than the traditional ones. And a fun float is a must! Hope you're staying cool down there! Love all of these picks! I just got the float and it's too fun! And our heat index is around 105 and it's so miserably hot! I don't want to do anything but be in a pool! I want that donut floatie so bad - it's too cute!! That beach towel is perfect too! Yes! I am so happy it is finally warm out! Summerrrrrrrr! I will be so sad when it leaves. That float is all over my Insta lately calling my name. I don't have a pool but I still feel like I need it in my life! love the raft and the towel - so stinking cute!! Awesome picks! This heat is getting to us for sure! Love everything on your list! That bikini is the cutest and I totally almost bought that donut float the other day! I can't decide between that one or a swan haha!! Yep, adding that bikini to my wish list! It's perfect! It has been so hot here too, and you know what the sad thing is… they don't allow floats in my condo's pool!! I really want that donut one (and the pizza one haha)!! And ps: Love that scrolly thing you have on your homepage- how did you do that?? That float is adorable! I'm obsessed with Sugar lips, and I love that Coola sunscreen! Ughhh it is unbearably hot here too!!! We really need to work on getting a house with a pool on our next go round. I dont care how much work they are, we NEED! I love that float, and those shoes and that towel. 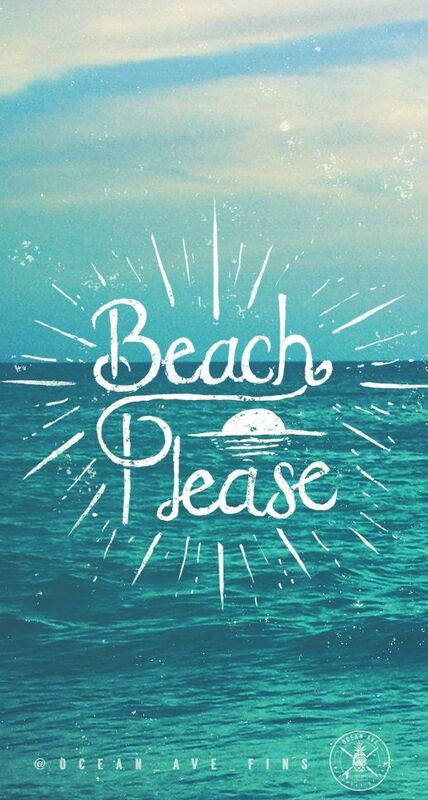 Beach perfection! heading to pcb tomorrow night! i have that donut float and i love it! but in chocolate. but my nails match this float! I need that donut float, and that sunscreen is the best!